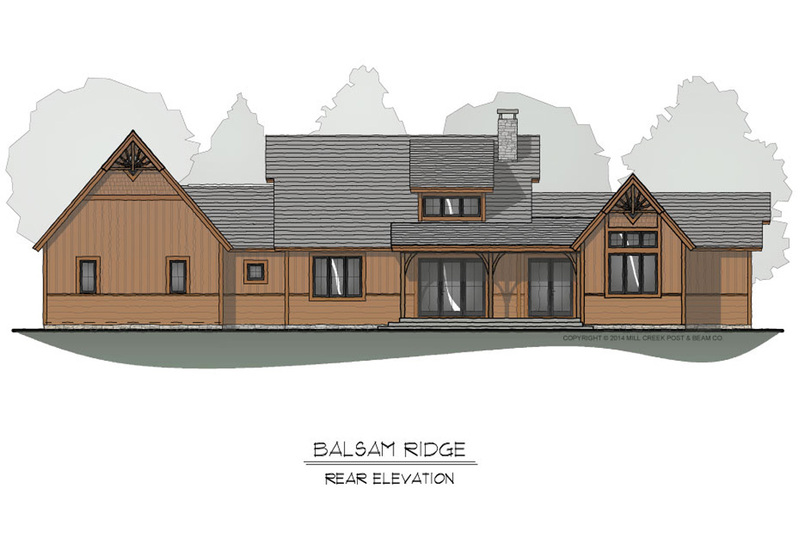 The Balsam, with 1200 sq. ft., can be a very nice main residence or second home. 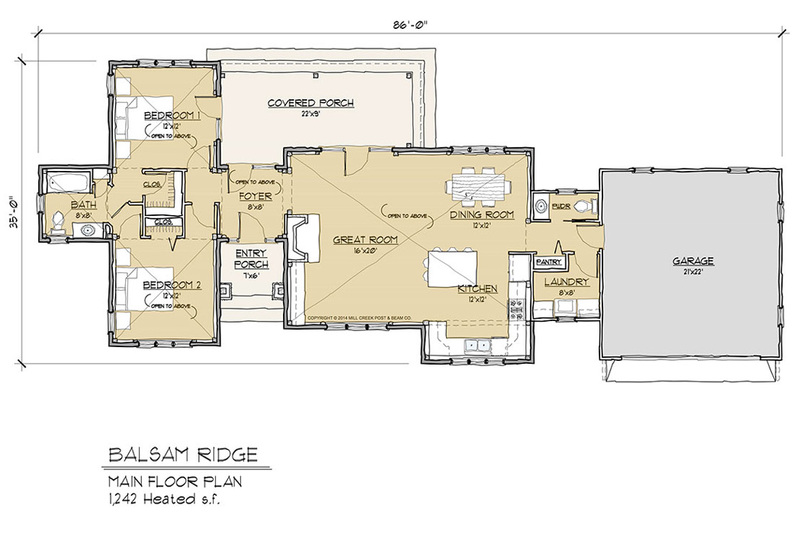 The open living plan with two bedrooms on the main floor and vaulted space blends scale and warmth to the interior. 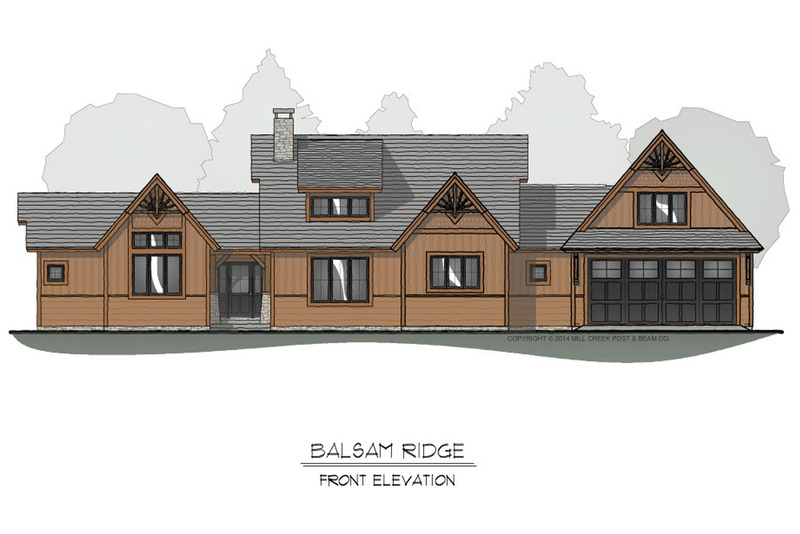 There is a large covered porch off of the back for inviting outdoor living. There is an added garage off of the laundry/mudroom.